This will be the first marijuana stock to list on the New York Stock Exchange. In just over two weeks, the Canadian federal government will be making a game-changing decision for the legal cannabis industry. Its Senate is set to vote on bill C-45, which is more commonly known as the Cannabis Act. Assuming a positive vote, the Cannabis Act, which would legalize recreational marijuana throughout the country, is expected to be quickly moved through the necessary steps to be signed into law. By August or September, legal weed sales to adults aged 18 or over are expected to commence.Opening the door to legal marijuana sales should allow the Canadian pot industry to add approximately $5 billion in annual sales, when ramped up. This will come atop the revenue already being realized from medical cannabis sales and via exports to medical marijuana-legal foreign countries. However, Canada becoming the first developed country in the world to legalize adult-use cannabis is far from the only "marijuana first" we've witnessed this year. In February, Canadian weed investment company Cronos Group (NASDAQ:CRON), which has three core assets, announced that it was becoming the first Canadian pot stock to uplist to the Nasdaq(NASDAQ:NDAQ). Moving from the over-the-counter (OTC) exchange to a more reputable exchange like the Nasdaq allowed for improved liquidity, as well as cleared the way for institutional investors to take a position in Cronos Group. Wall Street traditionally shies away from investing in OTC-listed companies. Now, another pot stock is following somewhat in its footsteps. But this isn't just any old marijuana company -- it's the largest pot stock in the world, Canopy Growth Corp.(NASDAQOTH:TWMJF). Last week, Canopy Growth, which boasts a $5 billion market cap, announced its intent to list its stock under the ticker symbol "CGC" on the New York Stock Exchange (NYSE) before the end of May. "Ultimately one of them is on Wall Street and has a bit more history and cache, and the neighbors on it are pretty substantive companies." In other words, the added history and credibility of the NYSE was the swaying factor. Like Cronos Group, Canopy's listing will open the door to institutional investment, as well as help bring legal cannabis investing into the mainstream. "One of the primary drivers of this listing is, as we are expanding globally, having U.S. institutional investors helps," said Linton. "I think the investment community has to drop the pot jokes and talk about the investment grade opportunity." Being listed on a reputable exchange also may create an opportunity for Canopy Growth to one day join the prestigious S&P 500. To list, Canopy Growth would need to meet minimum liquidity requirements, which shouldn't be difficult following its uplisting and investor interest, as well as hit a market cap of $6.1 billion. If Canada legalizes recreational cannabis as expected, Canopy joining the S&P 500 becomes a genuine possibility in the future. What you really need to be paying attention to with Canopy Growth Corp. Though Canopy Growth's uplisting may create an initial surge in the company's share price, much like the way Cronos Group's stock reacted following its debut on the Nasdaq in late February, investors would be wise to look past this short-term driver and pay attention to the longer-term catalysts and risks that matter. When it comes to catalysts, few things are more important to Canopy than its capacity expansion or its leading distribution channels. 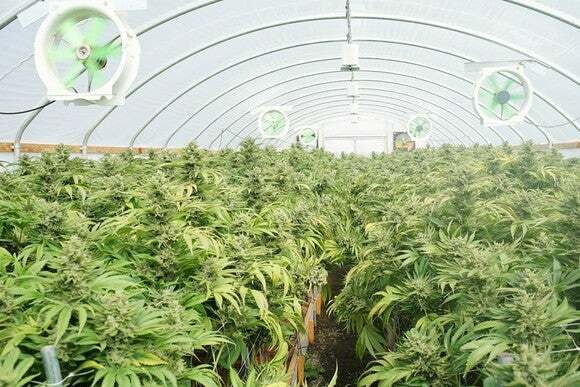 According to the company, it now has 2.4 million square feet of licensed growing capacity and appears to be on its way to increasing that figure to 5.7 million square feet over time. Though Canopy hasn't exactly laid out a timeline for when its greenhouses are expected to be complete -- nor has it laid out its annual production guidance -- it seems reasonable to expect annual production to near or top 500,000 kilograms when at full capacity. Mind you, this doesn't include any purchase agreements Canopy might have in place with smaller growers, such as Sunniva. With the exception of Aurora Cannabis, which would increase its annual capacity to 570,000 kilograms if its acquisition of MedReleaf goes through, no other growers even come close to Canopy Growth Corp.
Also important are Canopy's multiple channels to sell its cannabis. Canopy has the most recognizable weed brand in the country in Tweed, the means to move product on its website, and also will have brick-and-mortar outlets to sell cannabis. In addition, it has a growing number of international arrangements to export marijuana to medically legal countries. As icing on the cake, spirits giant Constellation Brands is a minority stakeholder that can provide marketing expertise and product partnerships. On the downside, Canopy Growth's heavy investment in capacity expansion could mean that this company won't produce a meaningful per-share profit for years. Even with economies of scale working in its favor and revenue set to rise by a triple-digit percentage in 2018 and 2019, profitability could elude Canopy as it socks every ounce of operating cash flow into capacity expansion and its distribution channels. Also of worry is the possibility of a domestic marijuana glut in Canada. 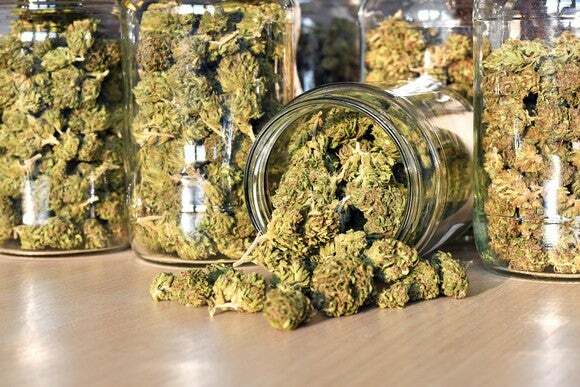 Various reports suggest that domestic demand for marijuana in Canada will come in around 800,000 kilograms a year. However, fully funded capacity for the dozens of licensed producers suggests that annual yield could easily top 2 million kilograms by 2020 or 2021. What happens to this more than 1 million kilograms in excess capacity? Presumably it gets exported to foreign countries where medical marijuana is legal. Unfortunately, with no real precedent to a legalization of this magnitude, no one really knows whether these foreign countries will be able to absorb so much excess weed. In other words, if a supply glut becomes reality, Canopy's margins, and that of the entire industry, could take a hit. For the time being, Canopy Growth's shareholders can briefly celebrate the company's expected uplisting to the NYSE, but they'd be wise to keep their eyes on the horizon.